I'm wanting to extend this rivet detail around the cylinder surface they currently are on and I have some questions about the best way to do that. I figured I'd lay it all out and then use the Circular Pattern command to create 24 instances 360 degrees around the cylinder. Now, how I got to what you're seeing: I created a plane, sketched out the rivet pattern, and then projected that pattern onto the cylinder face using the Split command. This has been the only way I could figure of how to project 2-D sketches onto non-linear shapes. Then I used Move Face to create the projections. I then filleted those projections. 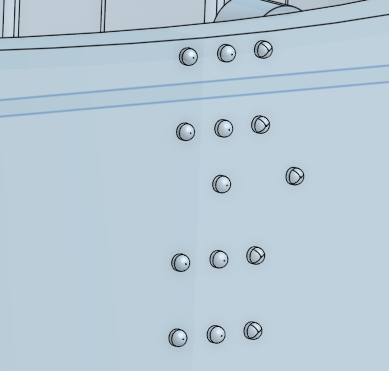 A question, the rivet on the far right is "weird" (3 faces make up the fillet, while the rivets to its left have contiguous fillets). Any ideas why? I've corrected the fillet, using a smaller radius, and the weirdness has gone away (had been thinking it could be a reason for the failure indicated below but I've now eliminated that possibility). Now how best to wrap these around the cylinder? I'm attempting to use the Circular Pattern command and the command fails only telling me that it can't pattern the selected features (well no duh!). "Apply per Instance" doesn't help. Using Curve Pattern produces the same result. And currently the Curve Pattern command failed so badly it's giving me an error: 4a0d69b408c34da53368b90c. Ive also received an error (though I don't think it was the same one) using the Circular Pattern command. Suffice, seems pretty clear Onshape doesn't at all like what I'm trying to do. Any ideas? Removed the fillet entirely as another test and still can't get the pattern to work. 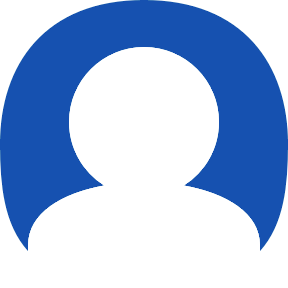 Try using the Face Pattern option in the Circular Pattern tool. Then select all the faces of your rivets. Should work. 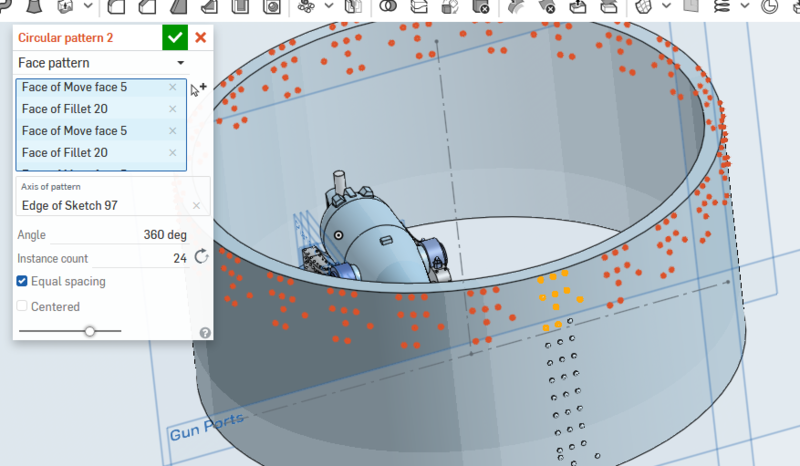 The reason that the "Feature Pattern" option is not working, is that Onshape can't figure out how to pattern the projected 2D sketch around the cylinder. However, it CAN pattern the faces. The Face Pattern version I show in the link below has a total regen time of 7.55s. Another way to do this would be to create your cylinder as 1/24 of the full cylinder (15 degrees), make your rivets (like you have done) then pattern the Part. The total regen time for a Part Pattern version is 2.18s. 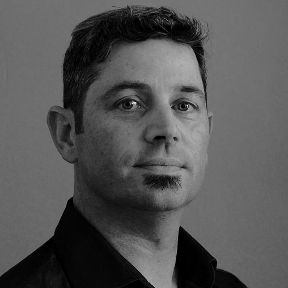 Both Face and Part pattern features use much less computing power than Feature Pattern (usually). OK, tried Face Pattern (Circular) and still nothing. The old tried and true, "Failed to create pattern, check input." Ah geess...figured it out....so the fillet didn't go to tangency at the very top, leaving a very tiny surface unselected each time I tried the command (was hand selecting each face instead of grabbing them globally). Wish Onshape gave better feedback for failures! Glad it worked in the end. The left-to-right selection box worked well for me for the selection. Did you try the Part Pattern option? That was even faster in my test. So thanks for the help Graham. If nothing more it showed I was on the right track and that I should look elsewhere for the problem! 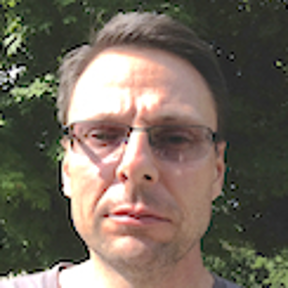 No, I stuck with the Face Pattern option; had never used that before always preferencing Feature Pattern. Rarely do I use Part Pattern, for whatever reason. Yes, right to left selection box (global grab). Instead I was one-sies, two-siesing it hand selecting each face. The "create selection" dialog is very useful in these cases. You can make it show up by clicking on the "mouse with a +" icon next to the face selection box. Using a "protrusion" selection, you could click on one face of each rivet, and the system will gather all the faces that comprise that protrusion. 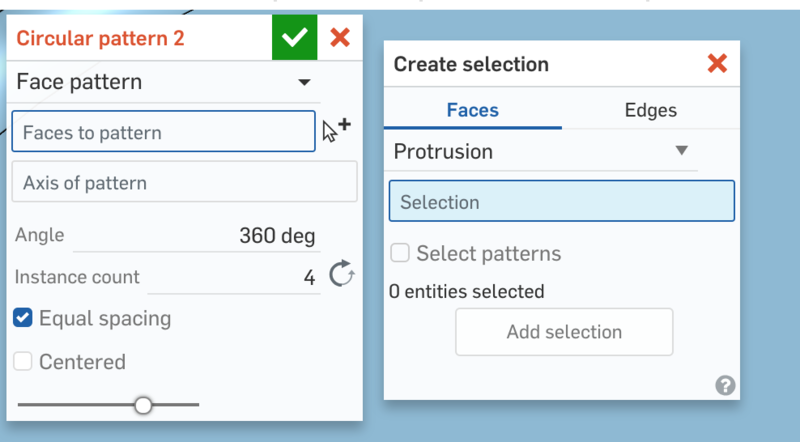 When you are happy with all of your selected protrusions, you can click "Add selection" to shuttle the selection from the "create selection" dialog into the "faces to pattern" box. How did I not know that icon did anything? I never clicked it. I thought it was "decoration." Yup! We try to put the icon on selectors that would benefit from a "create selection" type workflow, but you can actually always access the create selection dialog by right clicking on geometry while a selection box has focus.